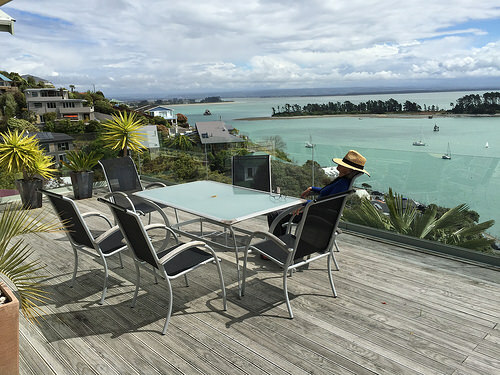 Throughout our travels in New Zealand we stay in a wide variety of properties – it’s important to see through the eyes of our customers. Sometimes we stay in apartments. 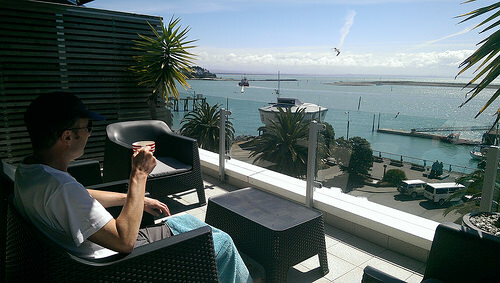 By choosing Apartment Accommodation in New Zealand, you’ll often get spectacular views within a central location. But there can be downsides. Waking up to spectacular harbour views is a luxury for many travellers. This apartment we stayed at recently had both and was a good distance from the main road. However it was a bit of a steep drive up. If you’re driving skills are limited, a convenient access is preferable. 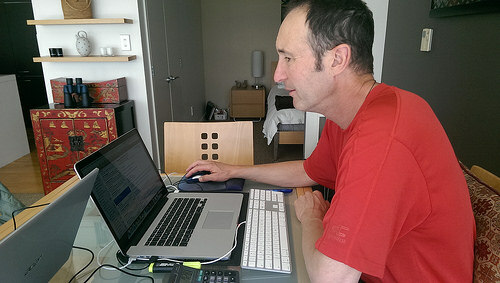 Generally, New Zealand has very good internet connection but not all accommodations have fast internet. Some of us have business responsibilities or want to stay connected to our families back home. If internet speed is a priority, check before you book. Refer to previous blog. We’ve just moved on to an individually owned apartment with great harbour views and beautiful interiors. There is real artwork on the walls and shelves with carefully chosen ceramics. The towels are thick and the bed linen is pure quality. It’s a clean and welcoming environment prepared with love by the owners – an ideal living space for longer stays, especially for families! However, for the first few days of our stay here, we faced a challenge with the people next door to us. Their constant door slamming shook the apartment and frayed our nerves. Ignoring basic etiquette, they held loud drunken conversations on the balcony. We breathed a sigh of relief when they left. If you’re noise-intolerant, consider a standalone cottage or villa. 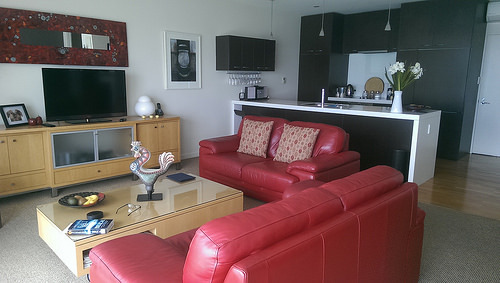 New Zealand apartment accommodation is a great option for exploring large towns and cities. Being within walking distance to cafes, restaurants and local attractions is a big plus, especially if you’re missing your exercise regime. Ok folks, let’s kick back and watch the Sunday yacht race. What great views. Just across from some great seafood as well if it is where I think it is? Shame about the neighbours – sadly, inconsiderate herberts can pop up anywhere, pity the poor people who live next door to them without respite at home! 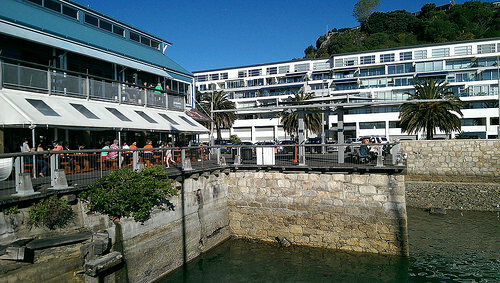 The views were superb and the harbour activity was fascinating. Always something happening from yacht races to the arrival and departure of container ships, plus the occasional rescue of some poor hapless kayaker. The ‘oinkers’ were quickly replaced by lovely folk and peace was restored.